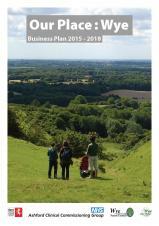 The print version of the Our Place Wye Business Plan is a large file, but click on the link below to download a low resolution version of the DCLG approved document. XHTML 1.0 validated. WCAG compliant. Page generated in 0.2594 seconds.